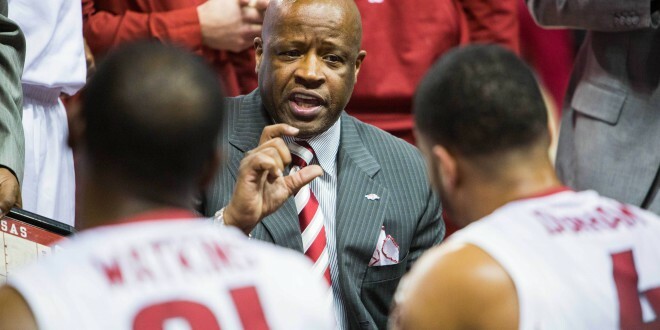 Last season, Arkansas Razorbacks basketball head coach Mike Anderson led his team to their third NCAA Tournament appearance in the past four years. Anderson, who is entering his eight season with the Razorbacks, knows that next season’s squad will be completely different from this past year. 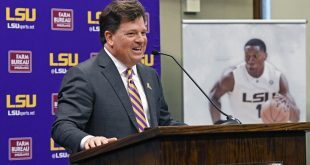 As part of an SEC coach’s teleconference on June 28 , Anderson even joked that he would probably need name tags for the new players on his team. Arkansas is welcoming seven freshmen and junior college transfer Mason Jones for the 2018-2019 season. The Razorbacks had a successful season last year, compiling a 23-12 overall record and going 10-8 in the SEC. Although they earned the No. seven-seed in the East Region of the NCAA Tournament, the team lost to Butler in the first round by 17 points. Anderson said that he has liked what he has seen so far from the new-look Razorbacks, who lost four starters from last season. Anderson said that having his freshmen play in the SEC will let them play against tough competition. 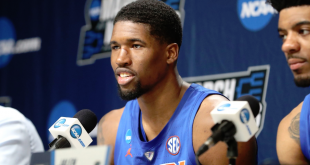 He also pointed to sophomore Daniel Gafford as an example of someone who can put on more weight to deal with the physical nature of the conference. The loss of Daryl Macon, Jaylen Barford, Anton Beard and Dustin Thomas (violation of team rules) will require newcomers to step in their roles. Citing the importance of his back court, Anderson said his team’s reps this summer will help them gain much-needed experience. Anderson, who has a 151-86 record as head coach of the Razorbacks, also talked about his best player: Daniel Gafford. 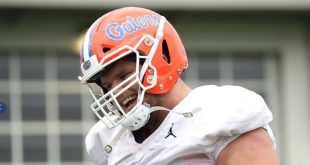 The returning center could have entered the NBA Draft, but decided to come back for his sophomore season. What’s next for Anderson and Co.? The Razorbacks will take on the Texas Longhorns on November 9th in the 2018 Armed Forces Classic. Arkansas’ full schedule for the 2018-2019 season has yet to be released.